Some people dread social events because they feel uncomfortable when they have to spend time with new people. 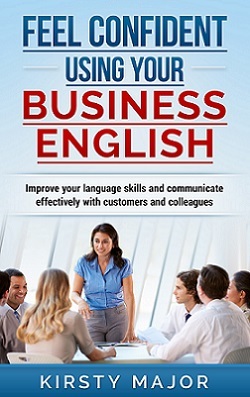 Others feel nervous about having to engage in a fast-flowing conversation in English. Others are worried that their ideas will dry up and they will have nothing to talk about – particularly when the interactions are not in their native language. These tips will help you to keep the dialogue going after the initial “how are you” and “where are you from” questions have been exhausted. Listening to the other person carefully can give you ideas about what you can say to find out more. Asking questions that are directly related to what the other person has just said shows them that you are listening to them and not just asking a standard set of questions. When you do ask questions, make sure that they are open-ended (what, when, who, why, where etc) rather than closed yes/no questions. In this way, your conversation partner will need to give a longer answer. Sometimes it can be frustrating when you have to consider what you would like to say and then simplify it so that you can say it in English. This often means that people reduce what they say because they don’t feel confident about a particular piece of vocabulary or grammar structure. Fluency and accuracy are both important but in an informal, social situation, people are less likely to worry about your grammar. They want to engage with you and this will be easier if you take a few language risks to ensure that you get across as much of what’s in your head! Take it from someone who knows – the frustration of thinking about everything that you could have said is worse than the frustration caused by a few small grammar mistakes. Some people talk at great length. They then ask you a question and it can feel daunting because the answer that you would like to give would be over in 20 seconds. However this is ok. Even when people are speaking their native language, some speak more than others. Some like talking. Some know how to be succinct. Give the answer that you want to give and don’t let embarrassing silences come up because you are worried about not talking as much as the other person. My granddad was a man of few words. As a child I soon learned that I could change this by simply asking something about his computer or his garden. If he was talking about something that interested or excited him, he suddenly found it easy to talk. He could tell me all kinds of things about his plants or what he had recently learned about his new computer. Most people have favourite subjects. Perhaps they have a hobby or interest. Perhaps they enjoy talking about their recent holidays or what their children or pets have done. Whether or not you share an interest in these subjects, if you can get the other person to talk about them, you will find out more about the other person and the dialogue will continue. Hopefully they will be interested enough in you to do the same thing. Sometimes there is a tendency to show off, to talk too much or to talk at length about your own successes. Rather than having a positive effect, these behaviours can make the other person withdraw and feel that they have nothing to offer when compared with what you have just shared. Try to avoid this if you want others to participate and feel an equal part of what’s going on. If you think that you and your conversation partner have said everything you have to say on a subject, perhaps there is another person at the table who is not talking to anyone and who would like to become involved. Asking other people what they think can be a way to involve others while at the same time giving your conversation a new perspective. If you know whom you are likely to meet at the event, see what you can find out about them from their business network profiles or the conference programme. This will give you some ideas on topics for discussion if you come across them in a social situation. This is sometimes tempting but the other person may just need a few seconds to compose their thoughts and think about what they want to say – whether or not English is their native language. If you fill every gap with new information or ideas, they will have no opportunity to speak. Don’t be afraid of short breaks in the conversation and don’t feel that you need to fill them. Try to find something about which you can both share your ideas and experiences. Perhaps you have worked in a similar area. Perhaps you have a shared interest. Perhaps you both have dogs. If you find some common ground, it will take you much longer to run out of things to say. I found this article interesting. I’m a person who likes to have contact with other people but at the same time often feel shy about what to say or how to interact with the people around me… Particularly when talking in a foreign language – it helped me a lot when my “talking partner” (don’t know how you call the person you talk to…) somehow started to “lead the conversation” and after some time I felt a little more secure and started to talk myself. But it often takes such long time…. But I like the ideas on how to show interest during a conversation. Yes, it helps when your conversation partner asks good questions or helps to keep the conversation going. The idea with the tips is to give you some things that you can try if you run out of ideas!